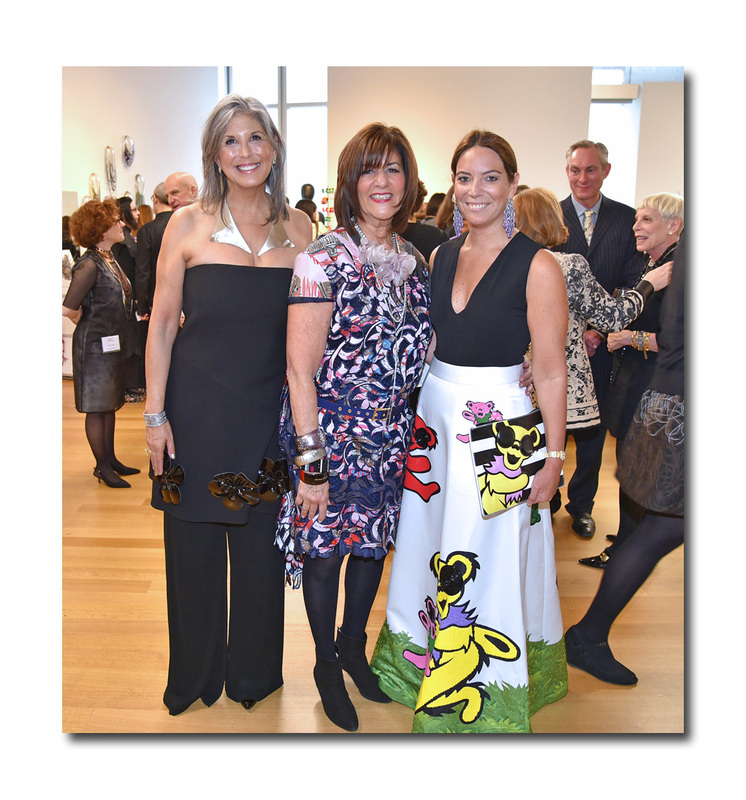 On Monday night, the Museum of Arts and Design (MAD) honored jewelry designer and arts patron Joan Hornig and fashion designer and philanthropist Kay Unger. The gala benefit dinner, held at the museum’s Robert Restaurant, kicked off Loot 2016: MAD about Jewelry, their annual six day exhibition and sale featuring art to wear, museum worthy designs made by both emerging and established jewelry designers (it runs through April 16th). 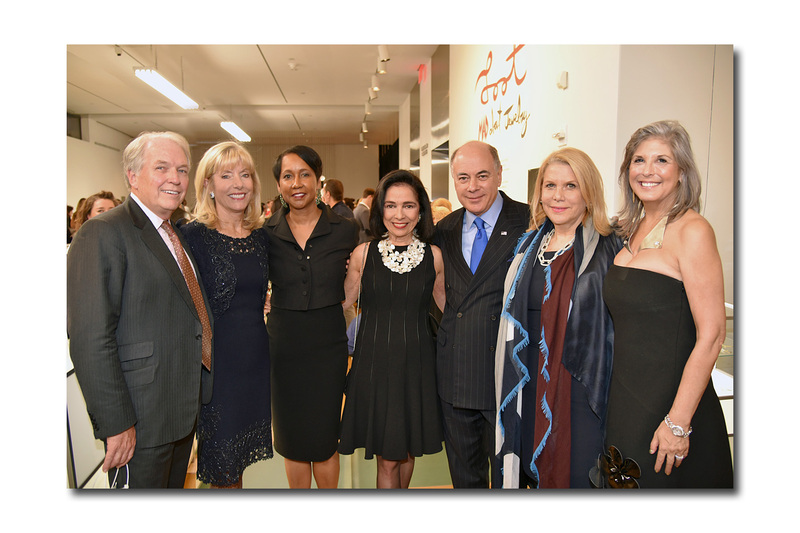 Dinner Co-Chairs were Michele Cohen and Marsy Mittleman. 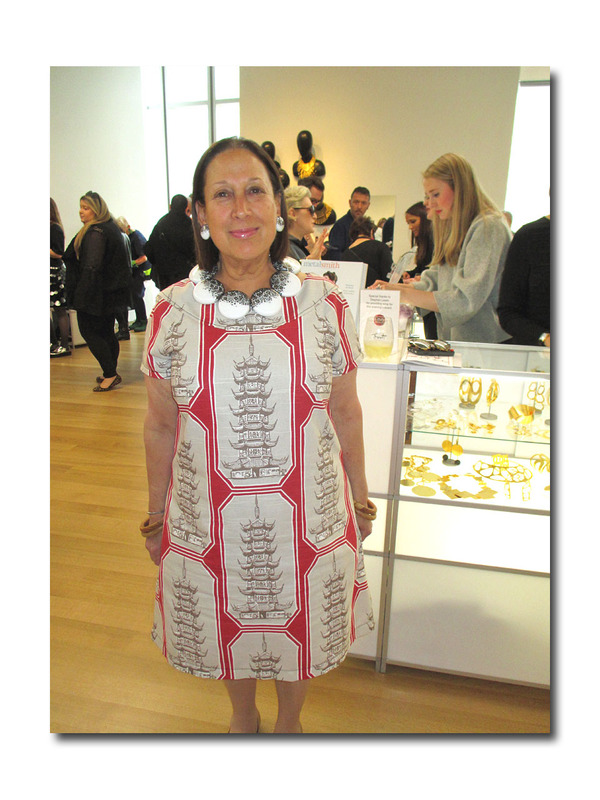 Famed fine jewelry designer Angela Cummings served as Honorary Chair, and she traveled from Utah to participate in this year’s events. 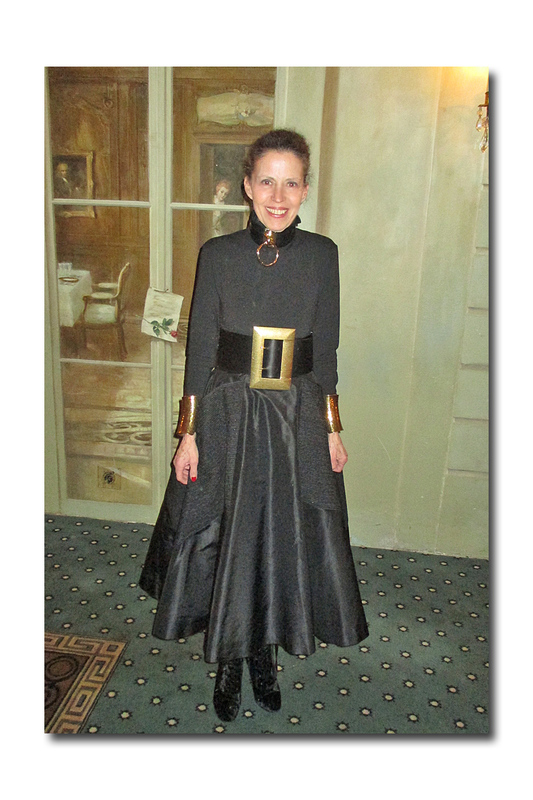 During the course of the dinner, the first LOOT Acquisition Prize winner, Alena Willroth, was named. 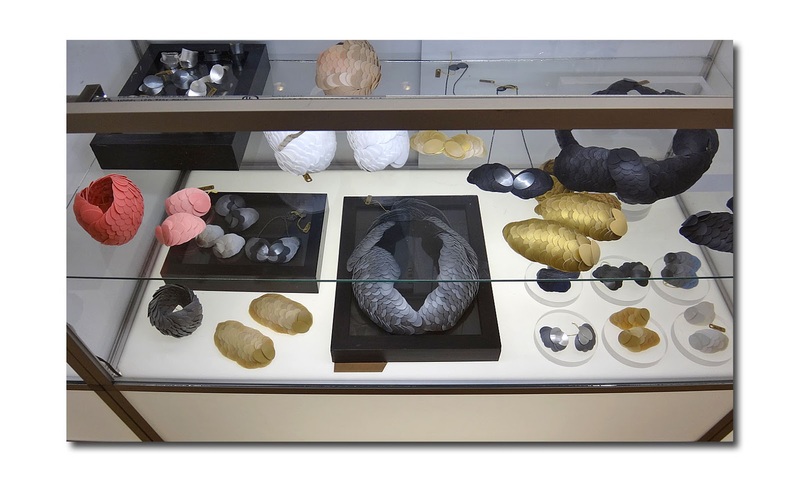 This honor is “in recognition of a LOOT jewelry artist whose work reflects a maturity in artistry and concept, exhibits superior and experimental understanding of materials and form, and demonstrates expertise in technique and execution”. 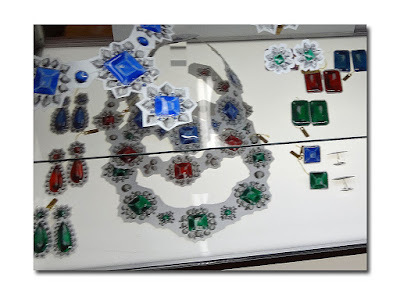 I guess you could say that the first time was the charm for this Czechoslovakian born, Berlin-based jeweler whose collection, named Slast (Czech for bliss) enchants with their magical lines. 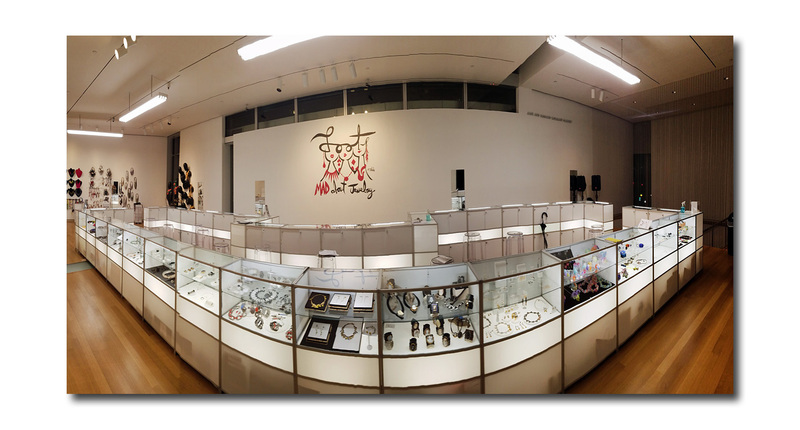 Not only was this her first LOOT exhibition, it was her first time in New York, and her first time in the United States. Earlier in the day, there was a press preview and Angela Cummings spoke about how she could feel “the air crackling with creativity”. She told of how she came to New York from Germany and “stumbled into Tiffany’s and got a job. She said that artists need recognition for their creativity and for “making the world a little more beautiful and giving everyone joy.”Bryna Pomp, the curator who organized the exhibition, said that "this year's artists represent the most diverse use of materials ever" including all metals, mesh, silicone, Perspex, acrylic, canvas, polyethylene lace, papier mache, industrial springs, repurposed grapevines, concrete, ceramics, as well as sheep's wool and goose feathers. 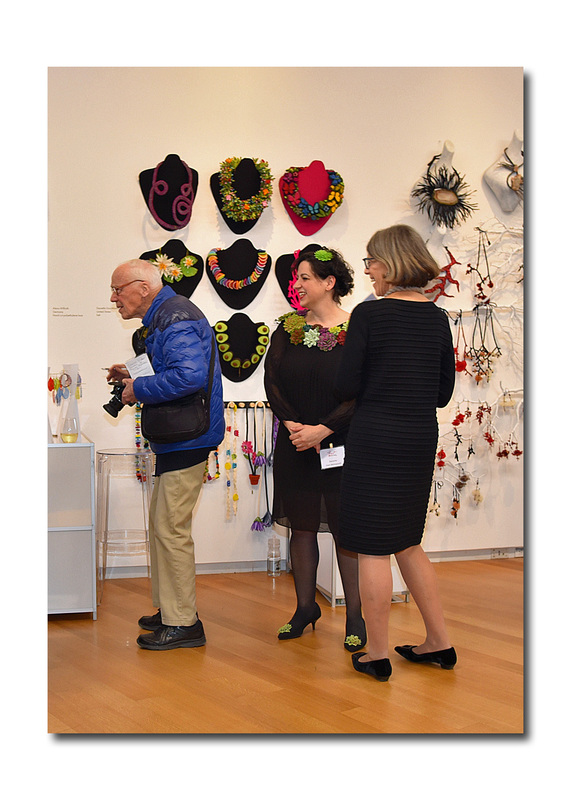 From 4:30 – 8pm, there was a cocktail party, preview, and sale of the one of a kind artist made jewelry for patrons. The artists were on hand which of course, made it all the more interesting and fun. In addition, guests (jewelry enthusiasts and collectors such as Barbara Tober, last year’s honoree), Michele Gerber Klein, Cece Black, Yaz Hernandez, Barbara Regna, Paige Novick, Nicole Dicocco, Chiu Ti-Jansen), had a chance to walk through the Tiffany & Co. Jewelry Gallery, which felt like a magical garden. Now in its 16th year, this is the first time this wildly popular event (considered to be the “ultimate pop up shop for contemporary artist made jewelry”) has been held in the spring, rather than the fall. 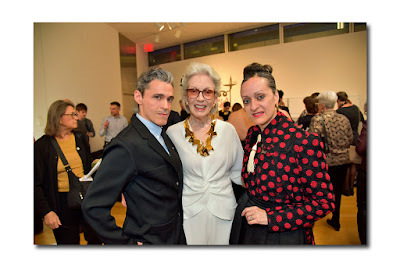 The change of seasons was in part precipitated by a “desire to help broaden awareness for the artists”; “the timing is more conducive for fashion journalists” explained Ms. Pomp, whose tireless, extensive and exhaustive world travels, are evident in the resulting 44 talented artists from 17 countries. Carmen Scarnecchia’s (Italy) trompe l'oeil jewels painted on canvas ("paintings to wear") which explore the boundaries of wearable art. Gerda & Nikolai Monies’ (Denmark) distinctive, dramatic, oversized jewelry. While the iconic goldsmiths are especially well known for their exceptional tribal pieces in black and gold, they have added a colorful group in resin this time. 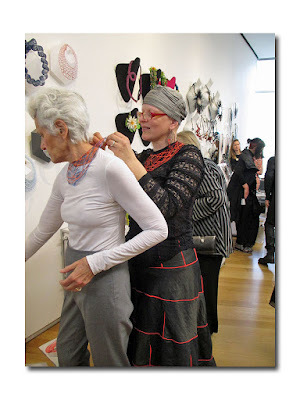 Karin Roy Andersson’s (Sweden) ocean themed recycled plastic and silver jewelry, resembling fish scales. Myriam B’s (Italy) jewelry made of small colored sequins handcrafted using traditional techniques and held together by a steel wire (I was especially drawn to her pieces made of agate and hand dyed goose feathers). 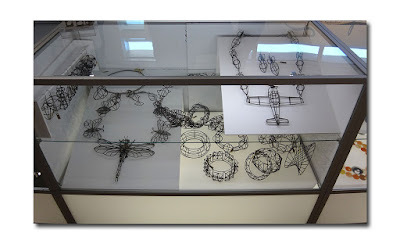 Thomas Raschke’s (Sweden) bracelets, earrings, and dragonfly, fish, and airplane necklaces sculpted from iron wire. Pawel Kaczynski’s (Poland) steel mesh pieces, which are shaped and wrapped until they resemble organic forms such as leaves, flowers, and bark. Danielle Gori- Montanelli’s (USA) colorful and whimsical felt jewelry never fails to put a smile on my face. She always has something new up her sleeve; such as her couch pins, which, as she offered, would make a perfect gift for one’s therapist. As for her Oh Vey! necklace, let's just say, I couldn't have said it better myself - lol!